Although some of the original founders had already outlined plans for an institution like UCSC as early as the 1930s, the opportunity to realize their vision did not present itself until the City of Santa Cruz made a bid to the University of California Regents in the mid-1950s to build a campus just outside town, in the foothills of the Santa Cruz Mountains. The Santa Cruz site was selected over a competing proposal to build the campus closer to the population center of San Jose. Santa Cruz was selected for the beauty, rather than the practicality, of its location, however, and its remoteness led to the decision to develop a residential college system that would house most of the students on-campus. The formal design process of the Santa Cruz campus began in the late 1950s, culminating in the Long Range Development Plan of 1963. Construction had started by 1964, and the university was able to accommodate its first students (albeit living in trailers on what is now the East Field athletic area) in 1965. The campus was intended to be a showcase for contemporary architecture, progressive teaching methods, and undergraduate research. According to founding chancellor Dean McHenry, the purpose of the distributed college system was to combine the benefits of a major research university with the intimacy of a smaller college. UC President Clark Kerr shared a passion with former Stanford roommate McHenry to build a university modeled as "several Swarthmores" (i.e., small liberal arts colleges) in close proximity to each other. Roads on campus were named after UC Regents who voted in favor of building the campus. Although the city of Santa Cruz already exhibited a strong conservation ethic before the founding of the university, the coincidental rise of the counterculture of the 1960s with the university's establishment fundamentally altered its subsequent development. Early student and faculty activism at UCSC pioneered an approach to environmentalism that greatly impacted the industrial development of the surrounding area. The lowering of the voting age to 18 in 1971 led to the emergence of a powerful student-voting bloc. A large and growing population of politically liberal UCSC alumni changed the electorate of the town from predominantly Republican to markedly left-leaning, consistently voting against expansion measures on the part of both town and gown. Plans for increasing enrollment to 19,500 students and adding 1,500 faculty and staff by 2020, and the anticipated environmental impacts of such action, encountered opposition from the city, the local community, and the student body. City voters in 2006 passed two measures calling on UCSC to pay for the impacts of campus growth. A Santa Cruz Superior Court judge invalidated the measures, ruling they were improperly put on the ballot. In 2008, the university, city, county and neighborhood organizations reached an agreement to set aside numerous lawsuits and allow the expansion to occur. UCSC agreed to local government scrutiny of its north campus expansion plans, to provide housing for 67 percent of the additional students on campus, and to pay municipal development and water fees. George Blumenthal, UCSC's 10th Chancellor, intends to mitigate growth constraints in Santa Cruz by developing off-campus sites in Silicon Valley. The NASA Ames Research Center campus is planned to ultimately hold 2,000 UCSC students – about 10% of the entire university's future student body as envisioned for 2020. In April 2010, UC Santa Cruz opened its new $35 million Digital Arts Research Center; a project in planning since 2004. The $72 million Coastal Biology Building officially opened on 21 October 2017 on the Coastal Science Campus. The new campus houses the Ecology & Evolutionary Biology Department and faculty interested in the study of ocean, terrestrial and freshwater environments, marine sciences, ecology and evolution, and plant sciences. UC Santa Cruz is extending its environmental leadership in coastal science with a robust new program that will welcome its first cohort of students in Fall 2018. The Graduate Program in Coastal Science and Policy will train advocates and develop government and community responses to pressing sustainability issues. The 2,000-acre (810 ha) UCSC campus is located 75 miles (121 km) south of San Francisco, in the Ben Lomond Mountain ridge of the Santa Cruz Mountains. Elevation varies from 285 feet (87 m) at the campus entrance to 1,195 feet (364 m) at the northern boundary, a difference of about 900 feet (270 m). The southern portion of the campus primarily consists of a large, open meadow, locally known as the Great Meadow. To the north of the meadow lie most of the campus' buildings, many of them among redwood groves. 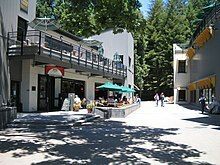 The campus is bounded on the south by the city's upper-west-side neighborhoods, on the east by Harvey West Park and the Pogonip open space preserve, on the north by Henry Cowell Redwoods State Park near the town of Felton, and on the west by Gray Whale Ranch, a portion of Wilder Ranch State Park. 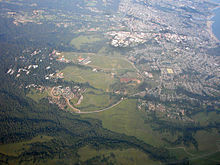 The campus is built on a portion of the Cowell Family ranch, which was purchased by the University of California in 1961. The northern half of the campus property has remained in its undeveloped, forested state apart from fire roads and hiking and bicycle trails. The heavily forested area has allowed UC Santa Cruz to operate a recreational vehicle park as a form of student housing. A number of shrines, dens and other student-built curiosities are scattered around the northern campus. These structures, mostly assembled from branches and other forest detritus, were formerly concentrated in the area known as Elfland, a glen the university razed in 1992 to build colleges Nine and Ten. Students were able to relocate and save some of the structures, however. Creeks traverse the UCSC campus within several ravines. Footbridges span those ravines on pedestrian paths linking various areas of campus. The footbridges make it possible to walk to any part of campus within 20 minutes in spite of the campus being built on a mountainside with varying elevations. At night, orange lights illuminate the occasionally fogged-in paths. There are a number of natural points of interest throughout the UCSC grounds. The "Porter Caves" are a popular site among students on the west side of campus. The entrance is located in the forest between the Porter College meadow and Empire Grade Road. The caves wind through a set of caverns, some of which are challenging, narrow passages. Tree Nine is another popular destination for students. A large Douglas fir spanning approximately 103 feet (31 m) tall, Tree Nine is located in the upper campus of UCSC behind College Nine. The tree had been a popular climbing spot for many years but due to environmental corrosion and fear of student injuries, UC ground services sawed off the limbs to make it nearly impossible to climb. For specific directions, reference: directions to Tree Nine For the less experienced tree-climber, students also frequent Sunset Tree located on the east side of the meadow behind the UCSC Music Center. The UCSC campus is also one of the few homes to Mima Mounds in the United States. They are rare in the United States and in the world in general. The university offers 63 undergraduate majors and 35 minors, with graduate programs in 33 fields. Popular undergraduate majors include Art, Business Management Economics, Molecular and Cell Biology, and Psychology. Interdisciplinary programs, such as Computational Media, Feminist Studies, Environmental Studies, Visual Studies, Digital Arts and New Media, Critical Race & Ethnic Studies, and the prestigious History of Consciousness Department are also hosted alongside UCSC's more traditional academic departments. A joint program with UC Hastings enables UC Santa Cruz students to earn a bachelor's degree and law degree in six years instead of the usual seven. The "3+3 BA/JD" Program between UC Santa Cruz and UC Hastings College of the Law in San Francisco accepted its first applicants in fall 2014. UCSC students who declare their intent in their freshman or early sophomore year will complete three years at UCSC and then move on to UC Hastings to begin the three-year law curriculum. Credits from the first year of law school will count toward a student's bachelor's degree. Students who successfully complete the first-year law course work will receive their bachelor's degree and be able to graduate with their UCSC class, then continue at UC Hastings afterwards for two years. According to the National Science Foundation, UC Santa Cruz spent $155.5 million on research and development in 2012, ranking it 120th in the nation. Although designed as a liberal arts-oriented university, UCSC quickly acquired a graduate-level natural science research component with the appointment of plant physiologist Kenneth V. Thimann as the first provost of Crown College. Thimann developed UCSC's early Division of Natural Sciences and recruited other well-known science faculty and graduate students to the fledgling campus. Immediately upon its founding, UCSC was also granted administrative responsibility for the Lick Observatory, which established the campus as a major center for astronomy research. Founding members of the Social Science and Humanities faculty created the unique History of Consciousness graduate program in UCSC's first year of operation. Famous former UCSC faculty members include Judith Butler and Angela Davis. UCSC's organic farm and garden program is the oldest in the country, and pioneered organic horticulture techniques internationally. As of 2015, UCSC's faculty include 13 members of the National Academy of Sciences, 24 fellows of the American Academy of Arts and Sciences, and 33 fellows of the American Association for the Advancement of Science. The Baskin School of Engineering, founded in 1997, is UCSC's first and only professional school. Baskin Engineering is home to several research centers, including the Center for Biomolecular Science and Engineering and Cyberphysical Systems Research Center, which are gaining recognition, as has the work that UCSC researchers David Haussler and Jim Kent have done on the Human Genome Project, including the widely used UCSC Genome Browser. UCSC administers the National Science Foundation's Center for Adaptive Optics. Off-campus research facilities maintained by UCSC include the Lick and Keck Observatories and the Long Marine Laboratory. From September 2003 to July 2016, UCSC managed a University Affiliated Research System (UARC) for the NASA Ames Research Center under a task order contract valued at more than $330 million. UC Santa Cruz was tied for 47th in the list of Best Global Universities and tied for 70th in the list of Best National Universities in the United States by U.S. News & World Report's 2019 rankings. In 2017 Kiplinger ranked UC Santa Cruz 50th out of the top 100 best-value public colleges and universities in the nation, and 3rd in California. Money Magazine ranked UC Santa Cruz 41st in the country out of the nearly 1500 schools it evaluated for its 2016 Best Colleges ranking. In 2016–2017, UC Santa Cruz was rated 146th in the world by Times Higher Education World University Rankings. In 2016 it was ranked 83rd in the world by the Academic Ranking of World Universities and 296th worldwide in 2016 by the QS World University Rankings. In 2009, RePEc, an online database of research economics articles, ranked the UCSC Economics Department sixth in the world in the field of international finance. In 2007, High Times magazine placed UCSC as first among US universities as a "counterculture college." In 2009, The Princeton Review (with Gamepro magazine) ranked UC Santa Cruz's Game Design major among the top 50 in the country. In 2011, The Princeton Review and Gamepro Media ranked UC Santa Cruz's graduate programs in Game Design as seventh in the nation. In 2012, UCSC was ranked No. 3 in the Most Beautiful Campus list of Princeton Review. The undergraduate program, with only the partial exception of those majors run through the university's School of Engineering, is still based on the version of the "residential college system" outlined by Clark Kerr and Dean McHenry at the inception of their original plans for the campus (see History, above). Upon admission, all undergraduate students have the opportunity to choose one of ten colleges, with which they usually stay affiliated for their entire undergraduate careers. There are cases where some students switch college affiliations as each college holds a different graduation ceremony. Almost all faculty members are affiliated with a college as well. The individual colleges provide housing and dining services, while the university as a whole offers courses and majors to the general student community. Other universities with similar college systems include Rice University and the University of California, San Diego. For the fall 2015 term, UCSC offered admission to 23,022 freshmen out of 44,871 applicants, an acceptance rate of 51.3%. The entering freshman class had an average high school GPA of 3.76, and the middle 50% range of SAT scores were 520-640 for critical reading, 550-670 for math, and 520-640 for writing, while the ACT Composite range was 23–29. Freshman entering for the fall 2018 term had an acceptance rate of 47.7%. For most of its history, UCSC employed a unique student evaluation system. With the exception of the choice of letter grades in science courses the only grades assigned were "pass" and "no record", supplemented with narrative evaluations. Beginning in 1997, UCSC allowed students the option of selecting letter grade evaluations, but course grades were still optional until 2000, when faculty voted to require students receive letter grades. Students were still given narrative evaluations to complement the letter grades. As of 2010[update], the narrative evaluations were deemed an unnecessary expenditure. Still, some professors write evaluations for all students while some would write evaluations for specific students upon request. Students can still elect to receive a "pass/no pass" grade, but many academic programs limit or even forbid pass/no pass grading. A grade of C and above would receive a grade of "pass". Overall, students may now earn no more than 25% of their UCSC credits on a "pass/no pass" basis. Although the default grading option for almost all courses offered is now "graded", most course grades are still accompanied by written evaluations. The McHenry Library houses UCSC's arts and letters collection, with most of the scientific reading at the newer Science and Engineering Library. The McHenry Library was designed by John Carl Warnecke. In addition, the colleges host smaller libraries, which serve as quiet places to study. The McHenry Special Collections Library includes the archives of Robert A. Heinlein, the papers of Anaïs Nin, the papers and drawings of Beat poet Kenneth Patchen, the largest collection of Edward Weston photographs in the country, the mycology book collection of composer John Cage, a large collection of works by Satyajit Ray, the Hayden White collection of 16th-century Italian printing, a photography collection with nearly half a million items, and the Mary Lea Shane Archive. The latter contains an extensive collection of photographs, letters, and other documents related to Lick Observatory dating back to 1870. A 82,000-square-foot (7,600 m2) new addition to the library opened on March 31, 2008, including a "cyber study" room and a Global Village café. The original 144,000-square-foot (13,400 m2) library reopened on June 22, 2011 after seismic upgrades and other renovations. 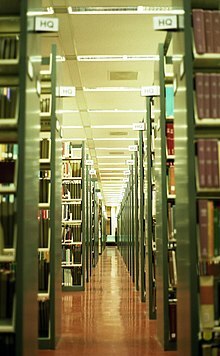 In total, the University Libraries contain over 2.4 million volumes. 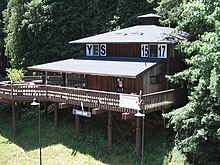 In 2008, UCSC agreed to house the Grateful Dead archives at the McHenry Library. Exhibits of Grateful Dead Archive materials are on display in the Brittingham Family Foundation's Dead Central Gallery on the 2nd Floor of McHenry Library. The Dead Central exhibit space is open during all library business hours. 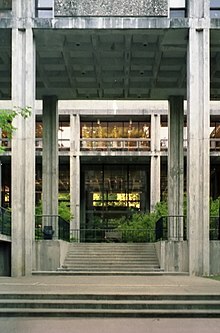 UCSC plans to devote an entire room at the library, to be called "Dead Central," to display the collection and encourage research. UCSC beat out petitions from Stanford and UC Berkeley to house the archives. Grateful Dead guitarist Bob Weir said that UCSC is "a seat of neo-Bohemian culture that we're a facet of. There could not have been a cozier place for this collection to land." Silicon Valley entrepreneurs and Dead fans Roger McNamee and Bill Watkins are expected to join a committee to oversee and raise funds for the project. The archive became open to the public July 29, 2012. Students and others gather for a "420 Day" event in Porter Meadow at the University of California, Santa Cruz, campus on April 20, 2007. UCSC students are known for political activism. In 2005, a Pentagon surveillance program deemed student opposition to military recruiters on campus a "credible threat," the only campus antiwar action to receive the designation. In February 2006, Chancellor Denice Denton got the designation removed. Military recruiters declined to return to UCSC the following year, but returned in 2008 to a more low-keyed student reception and protests using elements of guerrilla theatre, rather than vandalism or physical violence. Thanks to students passing a $3 quarterly tuition increase to support buying renewable energy in 2006, UCSC is the sixth-largest buyer of renewable energy among college campuses nationwide. UC Santa Cruz is also well known for its cannabis culture. On April 20, 2007, approximately 2,000 UCSC students gathered at Porter Meadow to celebrate the annual "420". Students and others openly smoked marijuana while campus police stood by. The once student-only event has grown since the city of Santa Cruz passed Measure K in 2006, an ordinance making marijuana use a low-priority crime for police. The 2007 event attracted a total of 5,000 participants. The university does not condone the gathering, but has taken steps to regulate the event and ensure security for all participants. On April 20, 2010, the school administration shut down the west entrance to campus and limited the number of buses that could drive through campus. Another well known tradition is what is known as "First Rain". Students run around campus naked or nearly naked to celebrate the school year's first night of heavy rain. The run begins at Porter and proceeds to travel through all the other colleges, collecting more students in its train. The Student Union Assembly was founded in 1985 to better coordinate bargaining positions between students and administration on campus-wide issues. All the residential colleges and six ethnic and gender-based organizations send delegates to SUA. There is a total of 138 recognized student groups as of 2008[update]. All Student media organizations are funded by a student council referendum of $3.20 per student per quarter. City on a Hill Press, a weekly publication that serves as the traditional campus newspaper. Fish Rap Live!, the alternative, comedic paper. TWANAS, the Third World and Native American Student Press Collective publishes issues about every quarter for various communities of color at UCSC. Its peak years were during the 1970s, 1980s and 1990s. Student Cable Television (SCTV) disbanded at the beginning of the 2010 academic school year. On The Spot (OTS), replaced the defunct SCTV organization, continuing the student-run television opportunities. On The Spot airs on channel 28 only on campus. The Moxie Production Group, which produces content on a quarterly basis. The Project, a quarterly paper, for UCSC's radical community. The Disorientation Guide, published on sporadic years, introduces new students to UCSC's radical history and various political issues that face the campus and community. Rapt Magazine, a quarterly literary and arts magazine. Leviathan Jewish Journal, a Jewish student life publication. On The Spot, a student-run broadcast media organization, that produces a variety of shows including Press Center Live (Sketch-Comedy), ART (Music videos), and game shows. Banana Slug News, a television broadcast news program. Chinquapin, an open-ended creative journal sponsored by the creative writing department. "Gaia Magazine," a magazine about environmental and sustainability subjects that is published once a year. Red Wheelbarrow, a "literary arts" journal. Matchbox Magazine, an annual humanities publication, started at UCSC, that operates across many UC campuses. EyeCandy, an annual student-run film journal associated with the Film and Digital Media department. 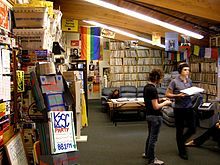 KZSC, the student-run campus radio station. Santa Cruz Indymedia, a local activist resource with a lot of UCSC content. The Film Production Coalition which produces films on a quarterly basis. Most of the UCSC undergraduate housing is affiliated with one of the ten residential colleges. The residence halls, which include both shared and private rooms, typically house fifteen to twenty students per floor and have common bathrooms and lounge areas. Some halls have coed floors where men and women share bathroom facilities, others have separate bathroom facilities for men and women. Single-gender, gender-neutral and substance-free floors are also available. All of the colleges, except for Kresge, have both residence halls and apartments. Kresge is all apartments. Apartments are typically shared by four to eight students, have common living/dining rooms, kitchens and bathrooms, and a combination of shared and private bedrooms. Apartments at colleges other than Kresge are generally reserved for students above the freshman level. In addition to the residential colleges, housing is available at the Village on the lower quarry, populated by continuing and transfer students (in 2016-17, this will be restricted to only continuing students); the Redwood Grove Apartments, which is available to continuing student applicants from all colleges; and the University Town Center, located downtown, that serves both continuing and transfer students. The Transfer Community is located in sections of both the A and B Buildings at Porter College and over 500 residents live within this theme housing. Graduate Student Housing is available near Science Hill, and UCSC also offers Family Student Housing units as well as a Camper Park for student-owned trailers and RVs. UCSC is home to few fraternities and sororities. The first Greek organization on campus, Theta Chi, was given colony status on January 10, 1987 and chartered on October 14, 1989 (designation: Theta Iota). In the beginning, fraternities like Theta Chi and Sigma Alpha Epsilon were met with strong opposition from the student body. Student groups like P.A.C. (People's Alternative Community), S.A.G.E. (Students Against Greek Environments), and M.A.C. (Men's Alternative Community) protested the existence of Greek life at the UCSC campus. Greek life at UCSC includes fraternities Sigma Lambda Beta, Tau Kappa Epsilon, Sigma Pi, Lambda Phi Epsilon, Sigma Phi Zeta, Alpha Epsilon Pi, Pi Alpha Phi, and Delta Lambda Psi, the nation's first gender neutral queer Greek organization. Sororities that are members of the National Panhellenic Council at the University of California, Santa Cruz include Gamma Phi Beta and Kappa Kappa Gamma. Recently in June 2016 the Theta Xi chapter of Kappa Alpha Theta was chartered to bring a third National sorority to UC Santa Cruz. Sororities on campus include Delta Sigma Theta, Sigma Lambda Gamma, Sigma Alpha Epsilon Pi, Alpha Kappa Delta Phi, Gamma Phi Beta, Kappa Kappa Gamma, Sigma Pi Alpha, Tri Chi, Sigma Omicron Pi, Kappa Zeta, Lambda Theta Alpha and Alpha Psi. The most recent Greek lettered organization added to the campus was Zeta Phi Beta sorority, which chartered its chapter Gamma Phi as of Spring 2016. Aside from social fraternities and sororities on campus, there are also a number of professional organizations as well. There are Kappa Gamma Delta, a prehealth sorority, Sigma Mu Delta, a prehealth fraternity, Alpha Phi Omega, a coed service fraternity, Phi Alpha Delta, a pre-law fraternity, and Delta Sigma Pi, a co-ed professional business fraternity. Though UCSC has been known for its conservation efforts and environmentally minded students since it was founded, since 2000 enthusiasm for the UCSC sustainability movement has grown steadily among students and administrators alike. Students established the Student Environmental Center (SEC) in 2001, have held annual Earth Summits, and established a sustainability funding body, the Campus Sustainability Council. In 2004, the UC Policy on Sustainable Practices was released, stating that the University of California Office of the President was committed to minimizing its impact on the environment and reducing its dependence on non-renewable energy. This set the scene for huge breakthroughs in 2006, when a Committee on Sustainability and Stewardship (CSS) was established and a campus-wide Sustainability Assessment was completed. The following year, the pilot Sustainability Office was created to help institutionalize sustainability, coordinate communication and collaboration between the many entities already engaged in campus sustainability activities at UCSC, support policy implementation, and serve as a resource for the campus. Sustainability has become a major part of every aspect of the campus, and students, staff, and faculty campus-wide are working toward sustainability in a variety of different ways. UCSC competes in Division III of the NCAA as an Independent member. There are fifteen varsity sports – men's and women's basketball, tennis, soccer, volleyball, swimming, cross country and diving, and women's golf. UCSC teams have been Division III nationally ranked in tennis, soccer, men's volleyball, and swimming. The Men's water polo team was ranked 18th in the nation in 2006 and won the D3 national Championship, however in 2009 the team was cut due to budget cuts. UCSC maintains a number of successful club teams. It has won multiple club national championships in men's tennis, 3 in men's waterpolo and also a women's Division II championship in club rugby. In 2016, due to a mounting debt in funding of the athletic program, the university polled its students on whether or not they would approve an increase in tuition which would be necessary to maintain the athletic program. There was a significant doubt that the students would approve this increase. Contrary to the predictions, a majority of the students approved a significant addition to their annual tuition to maintain the existence of the athletic program. Notable alumni of the University of California, Santa Cruz include co-founder of the Black Panther Party Huey P. Newton (BA 1974, PhD 1980); actress and comedian Maya Rudolph (BA 1995); founder of Huffington Post and BuzzFeed Jonah Peretti (BA 1996); filmmaker Cary Fukunaga (BA 1999); and several Pulitzer Prize-winning journalists. Notable attendees include actor and comedian Andy Samberg and filmmaker Miranda July. ^ a b "And Now For Some Facts" (PDF). University of California, Santa Cruz. September 2015. ^ As of June 30, 2018. "UC Annual Endowment Report FY18" (PDF). UC Santa Cruz Foundation. 2018. Archived (PDF) from the original on April 4, 2018. Retrieved April 4, 2019. ^ "UC Financial Reports – Campus Facts in Brief" (PDF). University of California. Retrieved November 12, 2012. ^ "Colors – Communications & Marketing". Retrieved July 18, 2018. ^ "Banana Slug Mascot". Retrieved November 6, 2010. ^ Doyle, William T. (October 1, 2006). "What the city council has not told us about university expansion". Santa Cruz Sentinel. MediaNews Group. Retrieved February 19, 2010. ^ McHenry, Dean E. (1974). Spedding Calciano, Elizabeth (ed.). Volume II The University of California, Santa Cruz: Its Origins, Architecture, Academic Planning and Early Faculty Appointments 1958–1968 (PDF). UC Santa Cruz. p. 59. Retrieved February 19, 2010. ^ "Long Range Development Plan, University of California Santa Cruz" (PDF). UC Santa Cruz Campus Planning Committee. October 21, 1963. Archived from the original (PDF) on June 24, 2010. Retrieved February 19, 2010. ^ "Santa Cruz: Historical Overview". University of California History Digital Archives. Regents of the University of California. June 18, 2004. Archived from the original on June 12, 2009. Retrieved February 19, 2010. ^ Stadtman, Verne A. (1967). "Santa Cruz". The Centennial Record of the University of California, 1868–1968. Regents of the University of California. pp. 503–504. Retrieved February 19, 2010. ^ Burchyns, Tony (June 25, 2006). "It's been 45 years since UCSC was founded – and Santa Cruz was irrecoverably changed". Santa Cruz Sentinel. MediaNews Group. Retrieved February 19, 2010. ^ Burchyns, Tony (July 2, 2006). "Unlike its nondescript past, UC Santa Cruz's future takes center stage". Santa Cruz Sentinel. MediaNews Group. Retrieved February 19, 2010. ^ Kerr, Clark (2001). The Gold and the Blue: A Personal Memoir of the University of California, 1949–1967 Volume I: Academic Triumphs. University of California Press. p. 261. ISBN 978-0-520-22367-7. OCLC 46240365. Retrieved February 19, 2010. ^ Seals, Brian (July 10, 2005). "35 years later, students' environmental report seems prescient". Santa Cruz Sentinel. Retrieved February 3, 2008. ^ Burchyns, Tony (July 9, 2006). "1980s ushered in discussion of UCSC expansion that continues today". Santa Cruz Sentinel. Retrieved February 2, 2008. ^ Honig, Tom (June 4, 2004). "Santa Cruz was once Reagan country". Santa Cruz Sentinel. ^ Marshall, Carolyn (January 27, 2007). "As College Grows, a City Is Asking, 'Who Will Pay?'". New York Times. Retrieved January 16, 2008. ^ Burchyns, Tony (July 16, 2006). "Tie-dyed philosophy majors of the past make way for pencil-protected science majors". Santa Cruz Sentinel. Retrieved February 2, 2008. ^ Bookwalter, Genevieve (August 9, 2008). "Suits over UCSC growth settled: City, county, neighbors reach deal; university agrees to concessions over roads, water and housing". Santa Cruz Sentinel. Archived from the original on August 15, 2008. Retrieved September 18, 2008. ^ Krieger, Lisa M. (September 30, 2007). "Think of UCSC as UC-Silicon Valley, new chancellor says". Mercury News. Retrieved October 28, 2007. ^ Mills, Kay (Spring 2001). "Changes at "Oxford on the Pacific," UC Santa Cruz turns to engineering and technology". National Crosstalk. National Center for Public Policy and Higher Education. 9 (2). Retrieved January 28, 2008. ^ Megha Satyanarayana (April 29, 2010). "UCSC cuts ribbon on $35 million digital arts building". San Jose Mercury News. Retrieved May 3, 2010. ^ "UC Santa Cruz to dedicate new Coastal Biology building on October 21". UC Santa Cruz News. Retrieved October 15, 2017. ^ "Parks and Recreation – Harvey West Park". Retrieved May 4, 2006. ^ "Parks and Recreation – Pogonip". Retrieved May 4, 2006. ^ "Henry Cowell Redwoods SP". Retrieved May 4, 2006. ^ "Wilder Ranch SP". Retrieved May 4, 2006. ^ Redfern, Cathy (September 2, 2001). "The original City on a Hill". Santa Cruz Sentinel. Retrieved February 5, 2008. ^ "UC Santa Cruz – University Family Student Housing". Archived from the original on October 26, 2006. Retrieved October 27, 2006. ^ Baine, Wallace (April 13, 2008). "'An Unnatural History of UCSC' traces the evolution of a magical campus setting – Santa Cruz Sentinel". Santa Cruz Sentinel. Archived from the original on April 13, 2008. Retrieved April 12, 2008. ^ "CAMPUS LIFE: California, Santa Cruz; Redwood Haven Inspires Battle Over an Elfland". New York Times. January 12, 1992. Retrieved April 12, 2008. 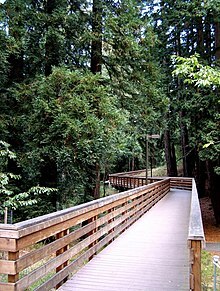 ^ "UCSC Walking Map". Archived from the original on September 1, 2006. Retrieved March 15, 2011. ^ "Flickr: Oaks Path Night". Retrieved March 15, 2011. ^ "UC Santa Cruz – Academic Programs". Retrieved May 27, 2009. ^ "3 Plus 3". 3plus3.ucsc.edu. Retrieved November 15, 2017. ^ "Rankings by total R&D expenditures". National Science Foundation. Archived from the original on June 12, 2018. Retrieved August 17, 2014. ^ Jarrell, Randall (1997). "Kenneth V. Thimann: Early UCSC History and the Founding of Crown College" (PDF). Regional History Project. University of California, Santa Cruz. pp. 11–34. Archived from the original (PDF) on July 14, 2006. Retrieved May 14, 2009. ^ a b Jarell, Randall (1993). "Donald T. Clark: Early UCSC History and the Founding of the University Library". Regional History Project. University of California, Santa Cruz. pp. 76–81. Retrieved May 14, 2009. ^ Calciano, Elizabeth Spelding (1974). "Dean E. McHenry: Founding Chancellor of the University of California, Santa Cruz, Volume II: The University of California, Santa Cruz: Its Origins, Architecture, Academic Planning, and Early Faculty Appointments, 1958–1968". Regional History Project. University of California, Santa Cruz. pp. 298–305. Retrieved October 31, 2013. ^ Ragan, Tom (July 31, 2005). 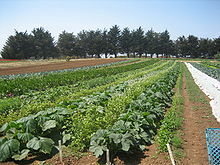 "Country's oldest organic school hails from UC Santa Cruz". Santa Cruz Sentinel. Retrieved February 8, 2008. ^ Kreiger, Kathy (October 10, 2002). "Apprentices spread UC farm techniques far and wide". Santa Cruz Sentinel. Retrieved February 8, 2008. ^ "Center for Biomolecular Science and Engineering". Santa Cruz: University of California. Retrieved February 20, 2010. ^ Abate, Tom (August 7, 2000). "UC Santa Cruz Puts Human Genome Online, Programming wizard does job in 4 weeks". San Francisco Chronicle. Retrieved February 4, 2008. ^ Wade, Nickolas (February 13, 2001). "Reading the book of life; Grad Student Becomes Gene Effort's Unlikely Hero". New York Times. Retrieved April 15, 2008. ^ "UCSC Genome Browser". Santa Cruz: University of California. Retrieved February 20, 2010. ^ "Center for Adaptive Optics". Santa Cruz: University of California. Retrieved February 20, 2010. ^ "UARC". Archived from the original on May 3, 2007. Retrieved November 25, 2016. ^ "University of California--Santa Cruz - U.S. News Best Grad School Rankings". U.S. News & World Report. Retrieved June 4, 2017. ^ "University of California--Santa Cruz - U.S. News Best Global University Rankings". U.S. News & World Report. Retrieved November 3, 2018. ^ "University of California--Santa Cruz". U.S. News & World Report. ^ "Kiplinger's Best Values in Public Colleges - 2017". Kiplinger's Personal Finance. December 2016. ^ "MONEY's Best Colleges". Money. 2016. ^ "Economics web site ranks UCSC sixth in the world for research on international finance". Archived from the original on May 28, 2010. Retrieved November 12, 2009. ^ "UCSC ranked 1st in High Times 2007". Archived from the original on September 20, 2008. Retrieved October 14, 2008. ^ "UCSC ranked in top 50 for Game Design". Retrieved November 5, 2010. ^ "Top Graduate Schools for Video Game Design 2011". ^ Franek, Robert. The Best 376 Colleges, 2012 Edition. The Princeton Review. Print. ^ a b c d e f "UCSC General Catalog 2004–2006 (The Colleges section)". Archived from the original on June 27, 2006. Retrieved June 29, 2006. ^ "Multi-year Fall Frosh and Transfer Application Summaries: Fall 2005-2016 Frosh". UC Santa Cruz Institutional Research, Assessment & Policy Studies. Retrieved December 13, 2016. ^ "Common Data Sets, Part C". University of California, Santa Cruz. ^ "UC Santa Cruz Facts". admissions.ucsc.edu. Archived from the original on December 12, 2017. Retrieved July 31, 2018. ^ Schevitz, Tanya (February 24, 2000). "UC Santa Cruz To Start Using Letter Grades". San Francisco Chronicle. Retrieved February 2, 2008. ^ "UCSC Discover – Academics". Archived from the original on June 19, 2006. Retrieved June 29, 2006. ^ "UCSC Special Collections—Introduction". Retrieved May 4, 2006. ^ "A library for the 21st century: McHenry turns a page". Archived from the original on January 29, 2009. Retrieved September 27, 2008. ^ Brown, J.M. (April 25, 2008). "UCSC's McHenry Library gets a facelift steeped in 'green' design principles". Santa Cruz Sentinel. Archived from the original on February 8, 2009. Retrieved April 25, 2008. ^ McKinley, Jesse (April 24, 2008). "A Deadhead's Dream for a Campus Archive". New York Times. Retrieved April 24, 2008. ^ McMahon, Regan (April 24, 2008). "Grateful Dead archives going to UC Santa Cruz". San Francisco Chronicle. Retrieved April 24, 2008. ^ Brown, J.M. (April 24, 2008). "Slugs and Roses: Grateful Dead to donate memorabilia to UC Santa Cruz archives". Santa Cruz Sentinel. Archived from the original on May 7, 2008. Retrieved April 24, 2008. ^ Brown, J.M. (April 25, 2008). "Grateful Dead says UC Santa Cruz proposed sweetest deal to store archives". Santa Cruz Sentinel. Archived from the original on April 28, 2008. Retrieved April 25, 2008. ^ Clark, Don (April 24, 2008). "California University Gets 'Grateful Dead' Archive". Wall Street Journal. Retrieved April 25, 2008. ^ "Regional Origin of New Frosh and Transfers 2015 Fall Quarter" (PDF). UCSC Office of Institutional Research, Assessment and Policy Studies. December 4, 2015. ^ "Undergraduate and Graduate Students by Ethnicity and Class Level 2014 Fall Quarter" (PDF). UCSC Office of Institutional Research, Assessment and Policy Studies. December 4, 2015. ^ Kershaw, Sarah (January 14, 2006). "A Protest, a Spy Program and a Campus in an Uproar". New York Times. Retrieved January 28, 2008. ^ Seals, Brian; Dunlap, Tom (February 11, 2006). "Pentagon removes UCSC from 'credible threat' list". Santa Cruz Sentinel. Retrieved February 3, 2008. ^ Sideman, Roger (April 20, 2007). "Military recruiters back out of UC Santa Cruz job fair". Santa Cruz Sentinel. Retrieved April 27, 2008. ^ Brown, J.M. (April 23, 2008). "Anti-war students disrupt career fair at UC Santa Cruz, but military recruiters stick around – Santa Cruz Sentinel". Santa Cruz Sentinel. Archived from the original on May 22, 2008. Retrieved April 23, 2008. ^ Brown, J.M. (May 6, 2008). "UCSC sixth-best college for green power". Santa Cruz Sentinel. Archived from the original on May 7, 2008. Retrieved May 14, 2008. ^ King, Matt (April 24, 2007). "Thousands at UCSC burn one to mark pot holiday". Santa Cruz Sentinel. Retrieved October 18, 2013. ^ Brown, J.M. (April 18, 2008). "UCSC takes security measures for '4/20". Santa Cruz Sentinel. Archived from the original on November 20, 2008. Retrieved April 18, 2008. ^ Ragan, Tom (April 22, 2008). "Police: Pot-smoking event in UCSC meadow 'a moral slap in the face". Santa Cruz Sentinel. Archived from the original on February 8, 2009. Retrieved April 23, 2008. ^ Moersen, Scott (October 12, 2006). "A Naked Run Through Campus". City on a Hill Press. Retrieved April 27, 2008. ^ "Student Union Assembly". UC Santa Cruz. Retrieved April 2, 2008. ^ "Student Union Assembly, Orgs". UC Santa Cruz. Archived from the original on April 5, 2009. Retrieved April 2, 2008. ^ "SOAR". soar.ucsc.edu. Retrieved April 2, 2008. ^ Jondi, Gumz (May 29, 2005). "UC Santa Cruz students voice their desires through fee vote". Santa Cruz Sentinel. Retrieved April 2, 2008. ^ Blumenfield, Zoe (March 18, 2007). "SCTV looks to the future: Students say lights, camera, action". scsextra.com. Retrieved April 12, 2008. ^ Sideman, Roger (October 8, 2006). "UCSC students aim to 'disorient' one another". Santa Cruz Sentinel. Retrieved April 12, 2008. ^ "Leviathan Jewish Journal – Leviathan Jewish Journal at UC Santa Cruz". Leviathanjewishjournal.com. July 19, 2016. Retrieved September 27, 2016. ^ "Chinquapin". Santa Cruz: University of California. Archived from the original on March 20, 2003. Retrieved February 20, 2010. ^ "Creative Writing Program Publications". Santa Cruz: University of California. Retrieved February 20, 2010. ^ "Matchbox Magazine". Santa Cruz: University of California. Archived from the original on February 21, 2010. Retrieved February 20, 2010. ^ "Eyecandy". Eyecandy.ucsc.edu. Retrieved September 27, 2016. ^ Sideman, Roger (June 26, 2006). "KZSC Radio turns up the juice — more powerful transmitter being installed". Santa Cruz Sentinel. Retrieved April 12, 2008. ^ "The Film Production Coalition". Santa Cruz: University of California. Archived from the original on August 28, 2008. Retrieved February 20, 2010. ^ "Student Housing Services". Archived from the original on April 4, 2008. Retrieved April 16, 2008. ^ "Wayback Machine". Web.archive.org. August 31, 2011. Archived from the original on August 31, 2011. Retrieved November 15, 2017. ^ "Kappa Alpha Theta - What's New - Kappa Alpha Theta Welcomes UC Santa Cruz!". Kappaalphatheta.org. Retrieved June 14, 2016. ^ "List of Greek Organizations". soar.ucsc.edu. Retrieved June 14, 2016. ^ "Kappa Gamma Delta- UC Santa Cruz, Zeta Chapter". KGD. Retrieved November 15, 2017. ^ "History of the Sustainability Office". Sustainability Office. UCSC Sustainability Office. Archived from the original on June 7, 2012. Retrieved May 21, 2012. Wikimedia Commons has media related to University of California, Santa Cruz. This page was last edited on 21 April 2019, at 20:59 (UTC).